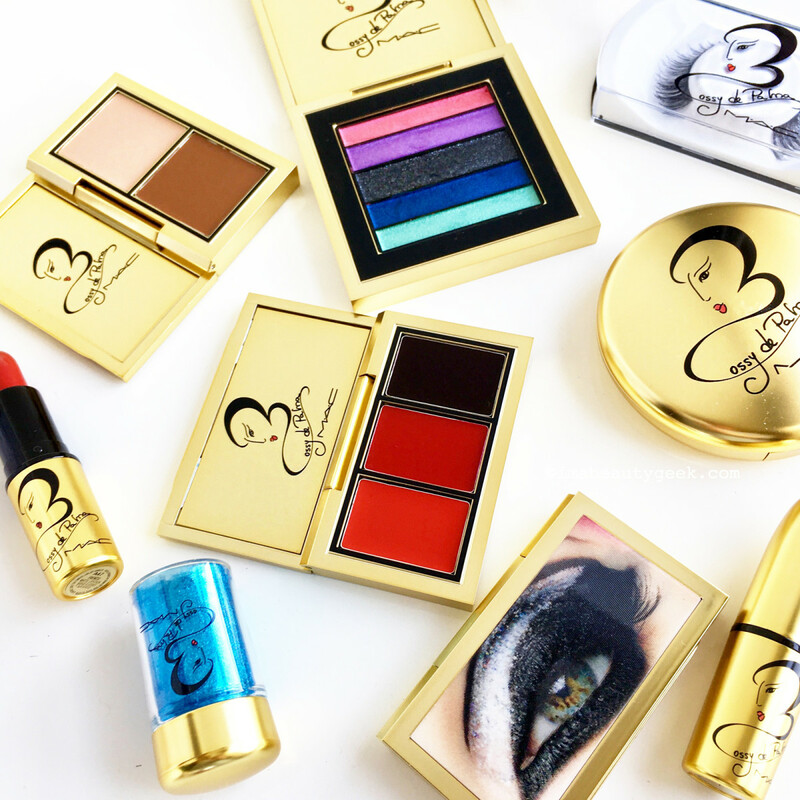 OMG, have you seen the packaging on this collab with the fabulous Spanish star? 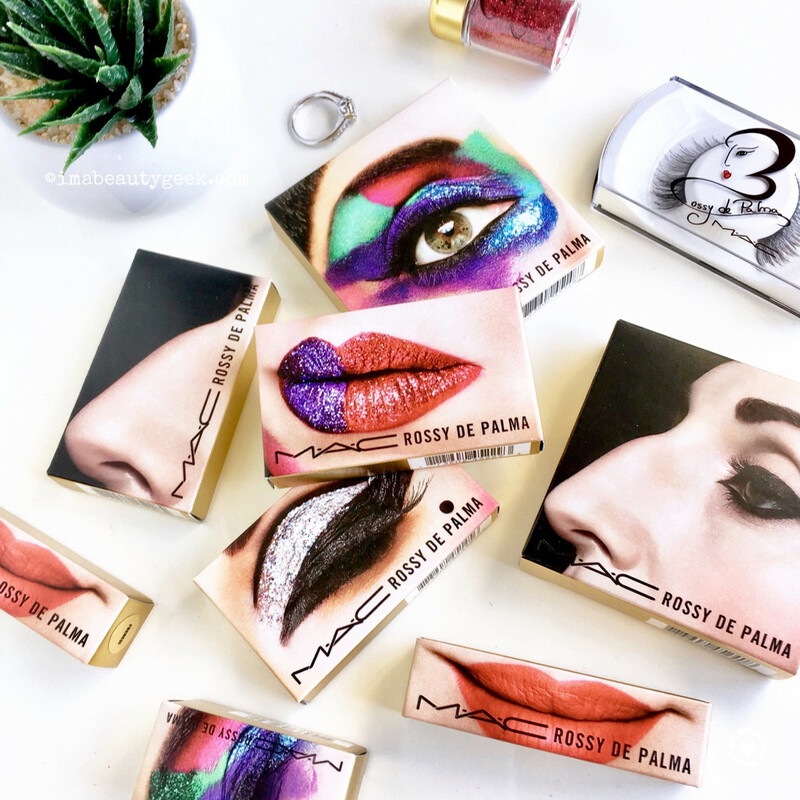 If you&apos;ve never bought something just for the sake of the packaging, the MAC Rossy de Palma collection might change that. One word: lenticular. Actually, that&apos;s not quite right. 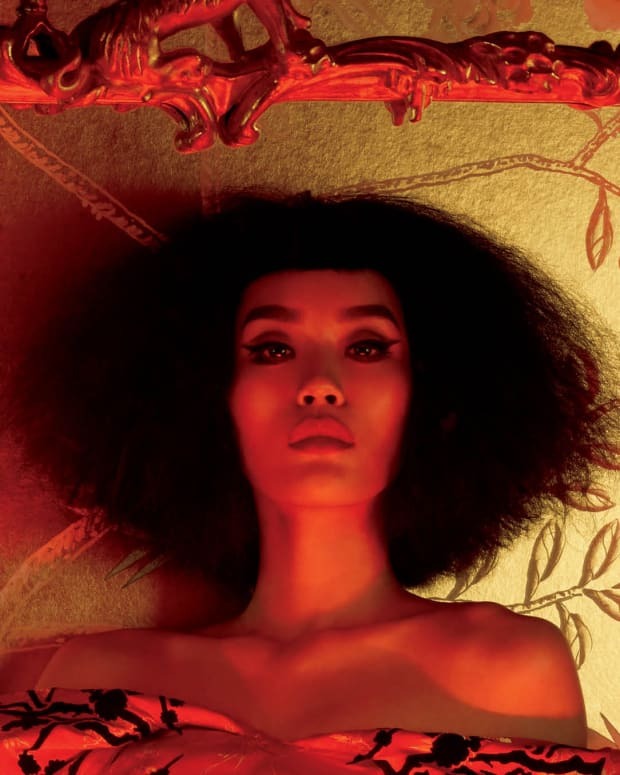 Sure, lenticular images are super-fun when you find them in unexpected places, like when Fashion Magazine beauty director Lesa Hannah found one of a famous handsome designer at a dollar store. But, as was the case with Lesa&apos;s find, the subject matter is just as important. In this lenticular case, Rossy de Palma&apos;s distinctive features are everything. Most refer to the striking, bold-featured Spanish actress/musician/artist/muse as an "unconventional beauty" – this W Magazine piece refers to de Palma&apos;s "Modigliani-type face." She has the most wonderful nose, large and expressive hazel eyes, beautiful full lips and teeth a North American actress would never get away with. 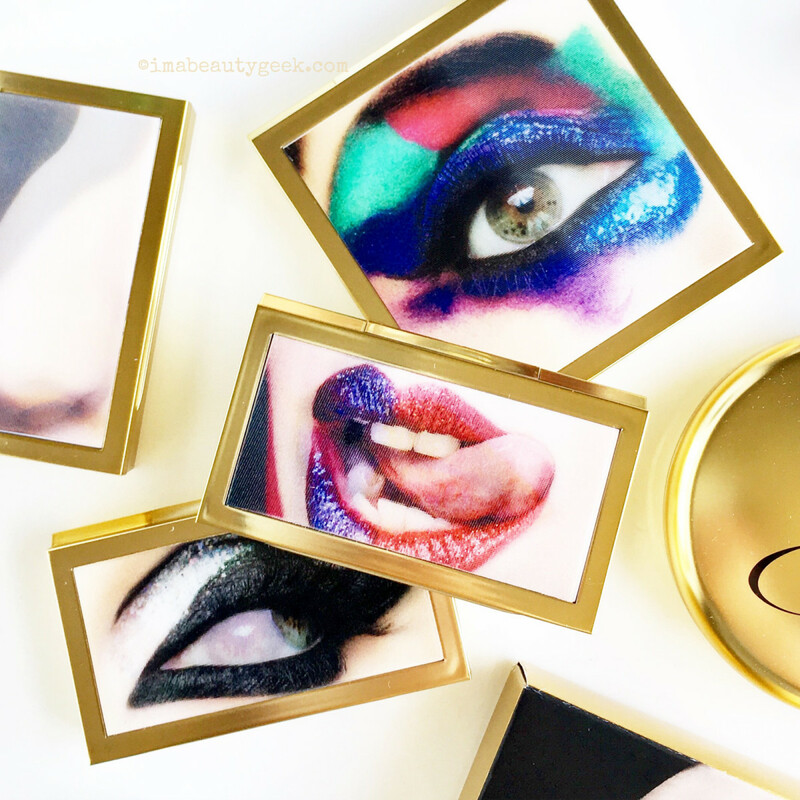 The MAC Rossy de Palma collection consists of four lipsticks in warm gold-tone limited-edition packaging ($22 CAD at maccosmetics.com), a lip gloss palette of three bold shades ($26 CAD), a sparkly-white + matte-black eye shadow duo ($26 CAD), a high-impact eye shadow quad ($42 CAD), lashes ($20 CAD), two bright blushes ($27 CAD each), a cream colour base duo featuring a lenticular of Rossy de Palma&apos;s distinctive nose ($26 CAD), Prep + Prime Transparent Finishing Powder in a gold-tone compact ($33 CAD), and glitter in red and blue ($26 CAD each). The interior of the compacts are just as vivid and colourful – statement-making. I&apos;m more likely to wear a lip colour, Frenesi in particular – it&apos;s a brilliant red fuchsia. And obviously that lip gloss palette is already making its home in my purse (I do wish it had a little sleeve, though, to keep the finish pristine). "Beauty is happiness," Rossy de Palma declares in the MAC promo video (2nd vid below). "Beauty is... glitter!" 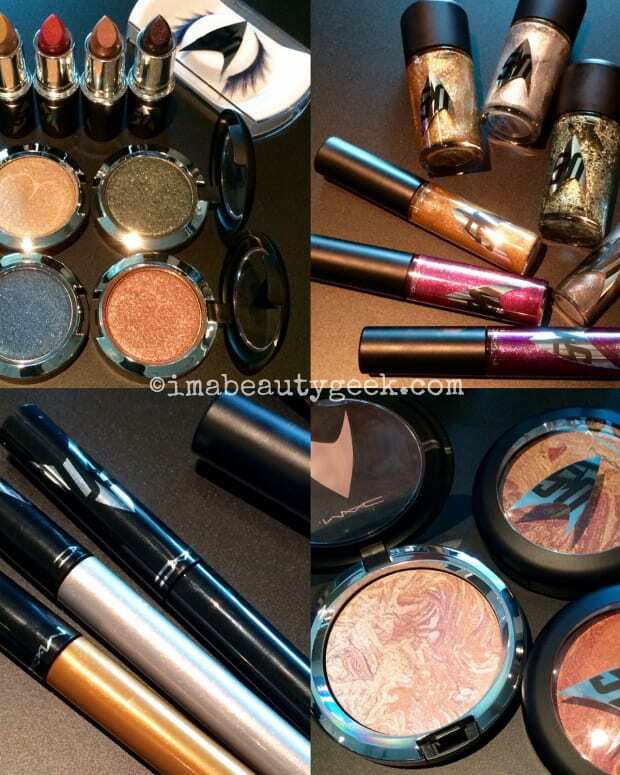 I don&apos;t know about the glitter part – *grin* – but the collection&apos;s lenticular compacts definitely make me happy. Whaddya think? Are you familiar with Rossy de Palma&apos;s work? Is there anything in the collection you&apos;d wear? 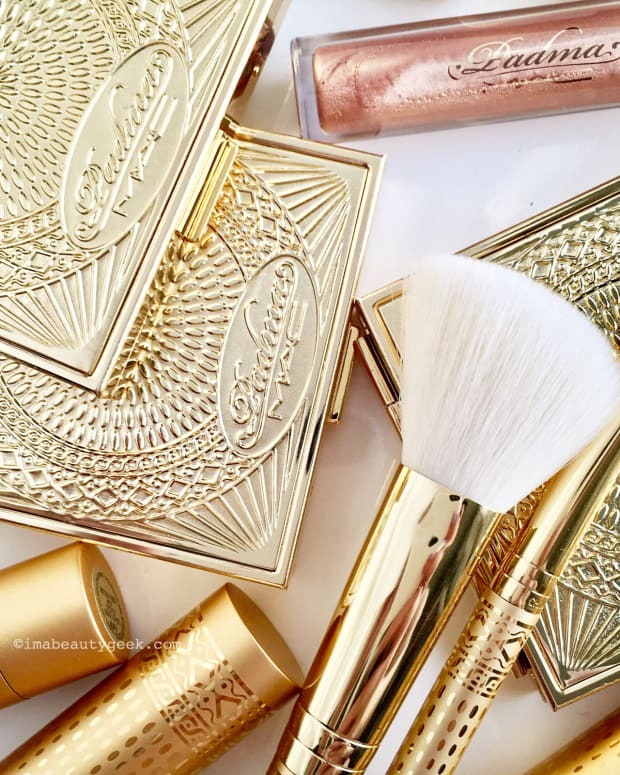 Have you ever bought something just for the packaging? DOES MAC'S YEAR OF THE ROOSTER CAMPAIGN OFFEND YOU?